Using a pedagogic case study in a traditional learning environment, in this paper, the authors demonstrate how an innovative yet practical computer-based simulation of a complex nano device was an effective tool that improved the learning outcomes of academically less-prepared Bachelor of Nanoscience students in an undergraduate engineering course in a rural university. 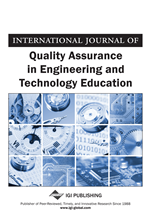 The authors' case study presented in this paper strongly suggests that innovations in content delivery, and adaptive learning such as via simulations, can transform what it means to educate students in the 21st century. Using a pedagogic case study in a traditional learning environment, we demonstrate how an innovative yet practical computer-based simulation of a complex nano device was an effective tool that improved the learning outcomes of academically less-prepared Bachelor of Nanoscience students in an undergraduate engineering course in a rural university. University educators across the disciplines tend to find the teaching of complex ideas such as threshold concepts and technologies to undergraduates a daunting task. Students in all disciplines have to learn concepts that are fundamental to their discipline’s body of knowledge. Students need to have a correct and accurate understanding of these in order for core disciplinary knowledge to make sense to them. While such difficult to learn concepts are often very challenging, and troubling to students and faculty alike, they also act as a portal, as they open up whole new and previously inaccessible ways of thinking, and providing students with ‘really useful knowledge’. This means that educators need to find better ways of teaching and learning to help students really 'get' and understand the knowledge that is core to their discipline (Meyer & Land, 2003). If understanding key knowledge areas is problematic for the general population of students, than even more so for students who, through no fault of their own, find themselves academically underprepared for their undergraduate studies. The point is that with increased access to higher education, especially from social groups previously excluded for financial and geographic reasons, enrolment numbers have increased substantially, and with that the number of students 'at-risk' for academic success (Eijkman, 2004; Bernstein, 1981). Following Eijkman (2004) we define academically underprepared students as those sub-groups of students who are at-risk of academic failure as a result of prior, and poorer, educational experiences such as in less resourced village schools, homes and neighbourhoods that lack a culture of literacy and intellectual stimulation. These students, though on average just as potentially smart as their better-off urban counterparts, are likely to have a history of educational failure and are poorly prepared for post-school learning and therefore tend to have lower expectations and self-confidence (Eijkman, 2004; King, 2004). As Ender and Wilkie (2000) further suggest, underprepared students may have a negative self-concept with respect to their academic environment. Many universities and colleges in the rural hinterlands of low income countries have very high proportions of such academically underprepared student cohorts who often find complex concepts very difficult to learn. This is precisely the problem we faced in teaching the functions and properties of memristors as highly complex nano devices at our university, based in rural Maharashtra. This case study, situated in a very tradition-bound higher education system, exposed a cohort of Nanoscience students – many of whom we classify as academically underprepared - to a digital simulation while another cohort, drawn from the same course and class, was subjected to the conventional chalk and talk method. The comparison clearly demonstrates the effectiveness of allowing such students to learn, hands-on, using a memristor simulation tool, based on a JAVA software platform. We open with a brief overview of the use of computer-based simulations in higher education. The focus then shifts to the simulation tool we developed and trialed in this pilot experiment, namely the memristor, and a description of the comparative experimental research method we used to investigate its effectiveness in this pilot study.